If you thought Broly’s days in the spotlight were over, then you better think again. When it comes to Dragon Ball Z, there are few characters who inspire as much controversy as the massive Super Saiyan. The hulking villain has a thing against Goku, and fans have never been able to decide whether Broly is the best or worst part of Akira Toriyama’s non-canon storylines. Still, the character remains a popular years after the end of Dragon Ball Z. And, now, Universal Studios has released the first official footage of Broly’s newest Super Saiyan state. That’s right. The legendary Saiyan is going God mode, and Goku will need your help to stop the monstrous warrior. Over in Japan, Universal Studios is gearing up for a summer of anime fun. The theme park will open up its annual anime-centric festival, and the event will bring in new attractions for shows like Neon Genesis Evangelion. 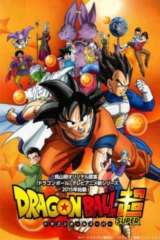 However, Dragon Ball Z is the series that caught international attention as the anime’s 4D movie experience planned to introduce Broly’s Super Saiyan God form. 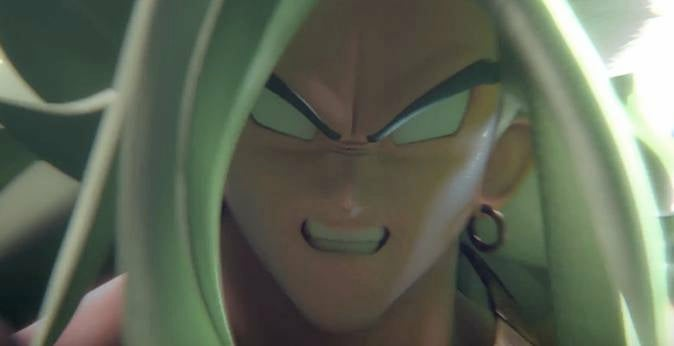 Now, Universal Studios Japan has released the first trailer for the Dragon Ball Z ride, and it shows Broly in all his glowing terror. The video focuses on an innocent park goer who is watching the film, but everything goes to hell when Broly literally throws a CGI Goku through the screen. The Saiyan then recruits the girl to help him fight back against God Broly, leaving the two to power up one powerful kamehameha blast. In the past, Dragon Ball Z has brought a Real 4D ride to Universal Studios Japan for a summer event. Last year, the franchise had a ride which pitted attendees against Freeza in one intense CGI martial arts tournament.